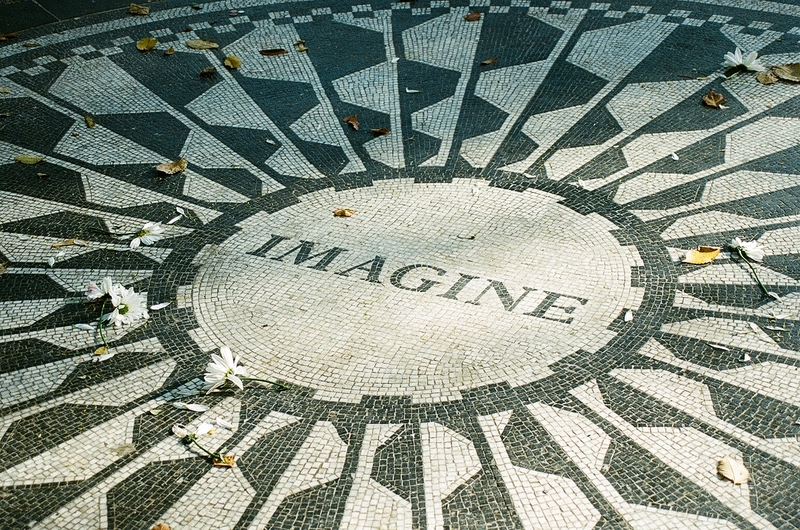 After going to a Matisse exhibit at the Jewish Museum in the Upper East Side, my friend, Majella, and I walked across the park one Sunday afternoon in July. 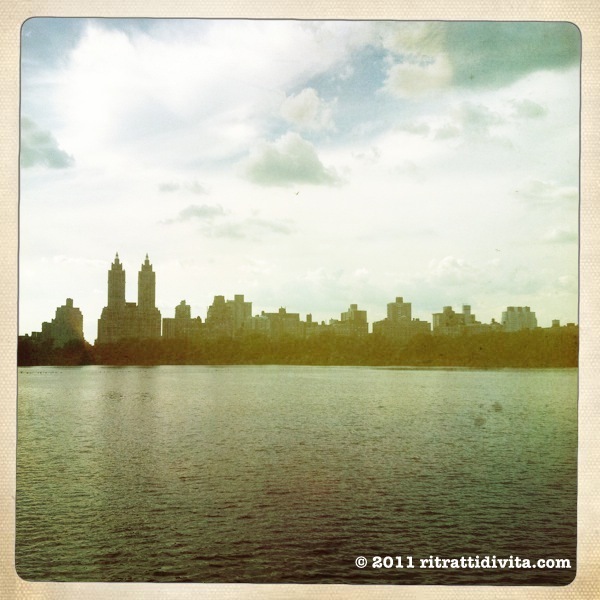 This picture was taken on the east side of the reservoir with the view of the Upper West Side skyline. 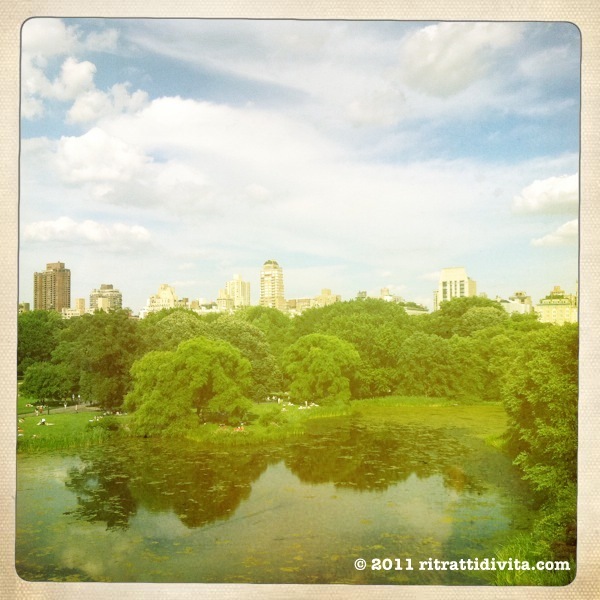 At the western side of the park, this is a view of Turtle Pond and the Upper East Side from the Belvedere Castle. After brunch at Sarabeths Central Park West a few weeks later, I took a picture of The Pond across the street from the restaurant. If you are a J.D. 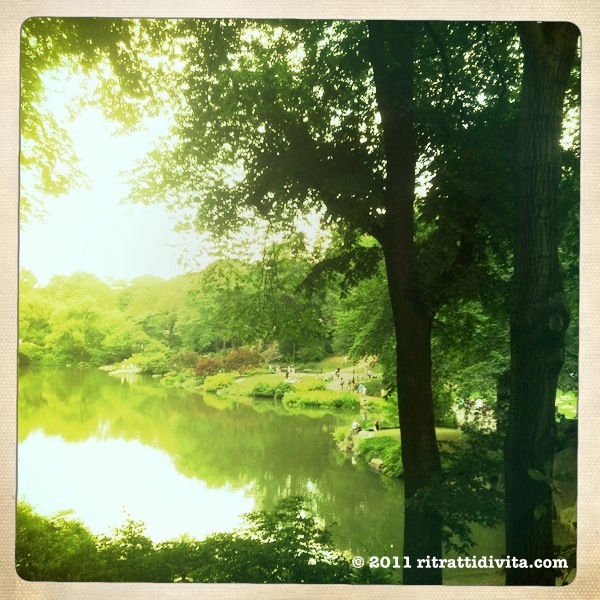 Salinger fan, you might be interested in this piece of trivia; The Pond is featured in The Catcher in the Rye.